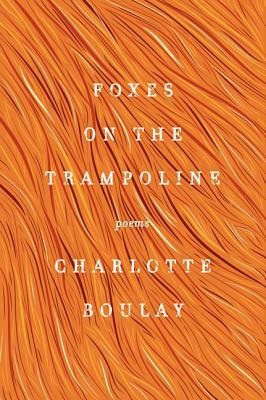 Foxes on the Trampoline is a thrilling debut poetry collection from Charlotte Boulay, which examines how we shape the world and, in turn, how the world shapes us. The poems in Foxes on the Trampoline investigate worlds natural and man-made, and the spaces in between, as they question how we are shaped by our surroundings, and shape them in turn. They limn the tenuous control we think we may have over nature, objects, and relationships, as the book wonders—what is enough? With language both feverish, finely wrought, and wry, Foxes on the Trampoline travels through the landscapes of America, India, and contemporary art, examining the loneliness and solace to be found in each. Charlotte Boulay grew up in the Boston area and attended St. Lawrence University. She earned her MFA from the University of Michigan, where she taught writing for five years. Her work has appeared in The New Yorker, Slate, The Boston Review, and Crazyhorse, among other journals. Foxes on the Trampoline is her first book. She lives with her husband in Philadelphia.